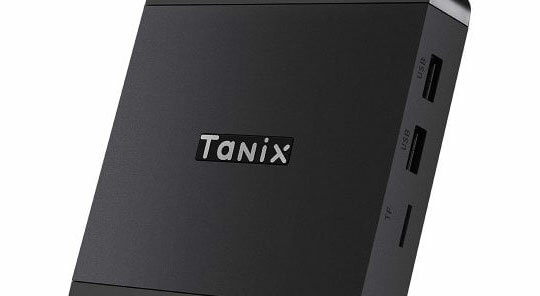 Just like other TV boxes, Tanix TX5 Max is shaped in a square and colored in black. It is manufactured from high-quality plastic material and weighs only 180gm. The box has got dimensions of 10.9 x 10.9 x 2.1 cm which clearly demonstrates how compact this masterpiece is. On the front side of this device, you will find an extremely tiny display that features a digital indicator. On both sides of the box, you will find dedicated slots for ventilation that take care of temperature changes of this device. If you look on the right side of the box, you will find the Micro-SD card and USB slots. On the back side of the device, you will find an antenna connector, power socket, HDMI output and small hole that allow you to reset this device very quickly. The box doesn’t have any power keys which means it will be turned on as soon as you connect it to power. Recommended for you: HUAWEI Honor 4 Sports Smart Band Review – All You Need to Know. Tanix TX5 Max boasts about its unique specification as it is blessed with Amlogic S905X2 CPU that easily supports 4K UHD image display. It is blessed with ALICE UX system that lets the user stream through different media files such as images, music, games, and videos very swiftly. The presence of Wi-Fi antenna makes sure that this device achieves amazing signal reception with frequency as good as 5GHz. The TV box features 4GB of RAM and 32GB of ROM that lets you enjoy an ultimate performance while using this device. You can deal with multiple tabs without facing any interruption or time waste. If you want to extend the storage then you can do so by using an external memory card of 128GB. The TV box comes with the most recent version of Android 8.1 Operating System which gives you extremely smooth and lightning fast user experience. All this modern configuration of Tanix TX5 Max TV box allows you to transform your ordinary TV into a smart one. With the support of 5.1 Surround Sound Output, this device makes sure you enjoy an ultimate audio experience. With Tanix TX5 Max, you can browse unlimited internet, chat through your social networking accounts and watch your favorite web-series online. 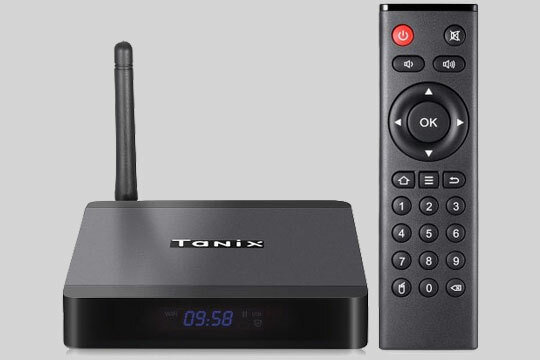 When you switch on Tanix TX5 Max TV Box, you can view pre-installed apps with unique icon names that mainly include Media center, Chrome Browser, Netflix, WifiDisplay, New CloudTV, YouTube, Play Store and much more. The TV box offers you two types of file managers and built-in apps that can be used to watch different kinds of TV channels. While watching video content, you can switch to 4K resolution by managing your settings. You can use Bluetooth connection to connect a gamepad to this device and play games with total control. In order to run videos with typical formats, you can use MXPlayer media player and enjoy your favorite videos with extraordinary effect and sound quality. If you want to watch online videos then it is recommended to download an application such as HD VideoBox. 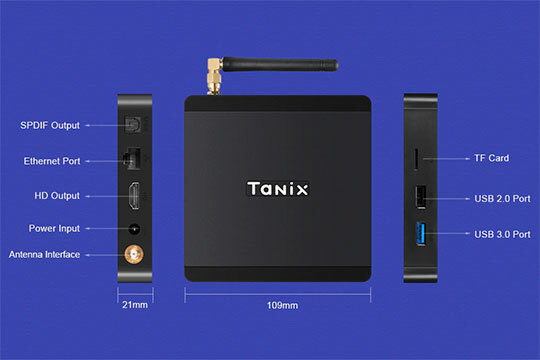 Tanix TX5 Max Android 8.1 TV Box is available on online platforms such as GearBest at a price of $59.99 with a discount as high as 8%. 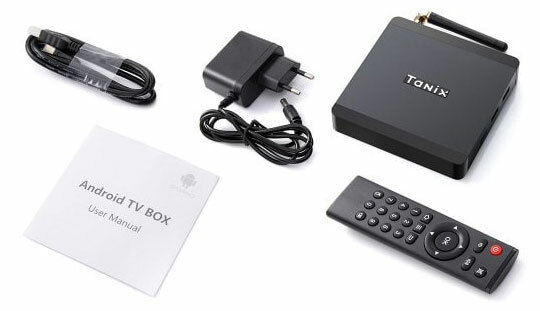 The package contents of this product include the main TV box, HDMI cable, remote control, power adapter, and English user manual. The remote control runs on 2 x AAA battery which is not included in the package. You may also like: Kospet Brave 4G Smartwatch Phone Feature Review. 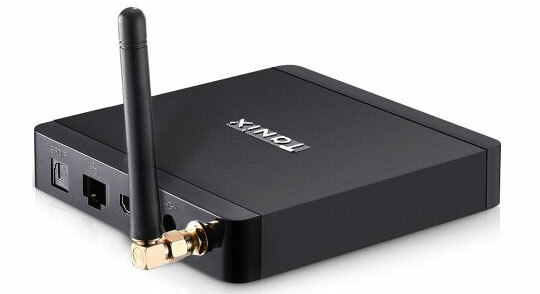 Tanix TX5 Max Android 8.1 TV Box is a feature-packed product and it delivers outstanding results which will definitely make it a worthy device considering its low price. It responses quickly to all commands so you don’t miss even a signal moment of excitement on this highly entertaining gizmo. 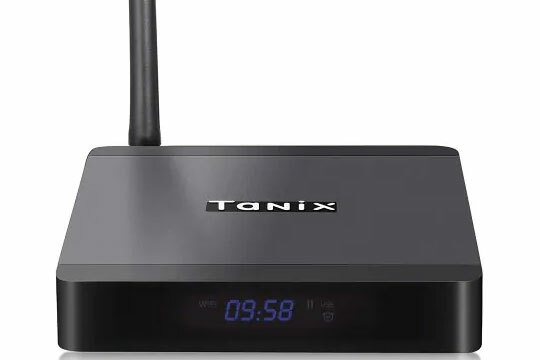 Tanix TX5 Max Android 8.1 TV Box is a feature-packed product and it delivers outstanding results which will definitely make it a worthy device considering its low price.